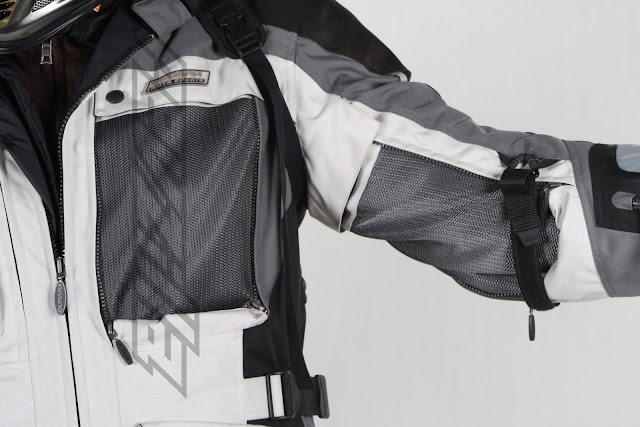 Olympia X-Moto Jacket & Pants Hi-Res Spy Photos! Rumors had been flying for some time about a new All-Season Adventure Jacket and Pant combo from Olympia. We knew there was meat to those rumors, but we were sworn to secrecy... until now. Check out our HI-RES Photos of the new Olympia X-Moto Jacket and Pant combo which is due out early February from Olympia. This is a do-it-all approach to adventure touring featuring a three layer system comprised of wind-water and thermal removable liners. There are also large zip panels on the chest, arms, back and legs which open and secure down revealing mesh for great ventilation in the hottest weather. Pricing should be reasonable for the combo, delivering a lot of bang for the buck with regard to some of the other higher end technical suits. As always we're happy to answer any questions about the new gear. 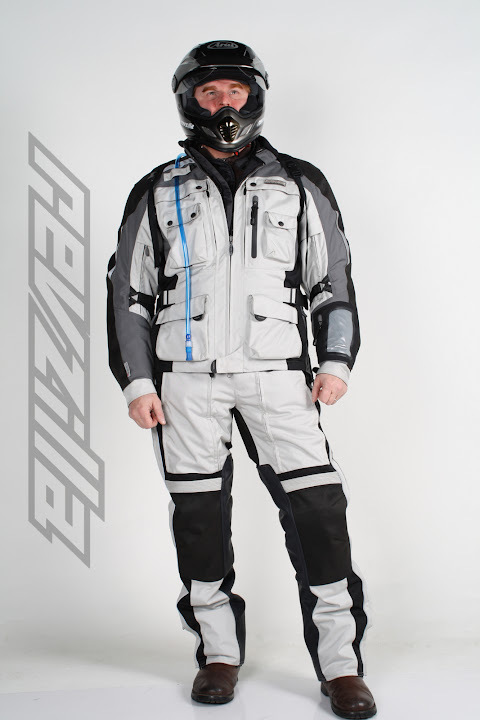 When it becomes available the Olympia X-Moto Jacket and Pants will be available in the Olympia Jackets section of RevZilla.com.